The current Head Coach at Springside Chestnut Hill Academy taking over prior to the 2018 seasonPrior to SCH Doc caoched at Chestnut Hill College men’s lacrosse team prior to the program’s second season, October, 2010. Dougherty has established himself as an icon in the lacrosse world, reaching the highest levels of competition at the high school, collegiate, professional, and international levels. He served previous assistant coaching assignments at the University of Pennsylvania, 2009-2010, and Haverford College, 2002-2008. 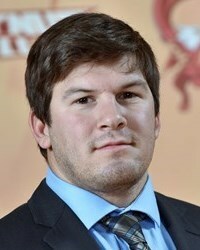 Earning distinguished awards various levels of lacrosse, Dougherty has is a valued asset to the Chestnut Hill College coaching staff. Dougherty is a two-time recipient of Ensign C. Markland Kelly, Jr. Award as the National Collegiate Athletic Association’s (NCAA) Goalie of the Year for 1995 and 1996. Dougherty helped lead Maryland University to the NCAA Division I Tournament Championships in 1995, earning himself the title of Tournament Most Valuable Player (MVP). He was a two-time, First Team, All-American while playing for the Terrapins from 1993-1996. Dougherty graduated from Maryland University in 1996 with a bachelor’s degree in criminology and criminal justice. Following college, Dougherty went on to unprecedented success as a goalie at the professional and international levels. After a couple seasons in the National Lacrosse League (NLL), Dougherty’s Major League Lacrosse career spanned from 2001 to 2009. As a member of the Rochester Rattlers, the Long Island Lizards, and the Philadelphia Barrage, Dougherty took home the league’s Goalie of the Year title in 2003, 2006, and 2007, eventually earning him the goalie position on the MLL All-Decade Team for 2001-2010. On the international level, Dougherty won two Federation of International Lacrosse (FIL) Gold Medals as the goalie for the United States of America (USA) at the 1998 and 2010 FIL World Championships. Drew currently plays for the New York Lizards of Major League Lacrosse.Adams played collegiately at Penn State University, where he was named an All American three times. Adams ranks first in PSU history with 694 career saves. 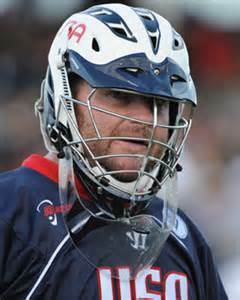 Adams has enjoyed a successful career in Major League Lacrosse, winning his first championship in 2015. He has been an MLL All- Star 4 times, and has been named the leagues Goalie of the Year following the 2011,2012, and 2015 seasons. On the International level, Adams is a current member of Team USA, winning a silver medal in the 2014 World Games. Austin attended Springfield High School in Delaware County (same HS as Drew Adams). Austin was a two time captain and in his senior year he was named Delaware County Player of the Year. For high school achievements, Austin was named two time All State and All American his senior year. Austin chose to attend Penn State University where he graduated with a Bachelor of Science in Business Management. Austin was a four year started ending with 686 saves (eight short of Drew Adam's record) which places him second all time in PSU history. Austin also ended his tenure with a 59.7% save percentage for his career. Austin was named CAA Rookie of the Year and was four time First Team All CAA and tow time CAA Defensive Player of the Year. Austin was also name CAA Player of the Year in 2013. Austin was named United States Intercollegiate Lacrosse Association (USILA) Honorable Mention All American in 2011, Third Team All American in 2012, and Third Team All American in 2014. 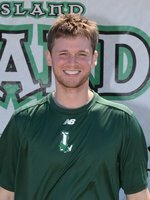 In 2013 Austin was awarded the Ensign C. Markland Kelly Jr. Award for collegiate lacrosse;s best goalie and USILA All American First Team honor. In Austin's senior year he was also named USILA Scholar All American. Austin was drafted by the Boston Cannons 19th overall and currently plays for the Florida Launch. ​Niko is coming off four accolade-laden seasons between the pipes at the University of Maryland (2011-2014), during which he led the Terrapins to two appearances in the National Collegiate Athletic Association (NCAA) championship game and became the first goalie in Atlantic Coast Conference (ACC) history to earn all-conference honors four times. His senior campaign (2014) ended in a litany of honors, most notably the Ensign C. Markland Kelly, Jr. Award, presented annually by the United States Intercollegiate Lacrosse Association (USILA) to the top college goaltender in Divisions I, II, and III. Dougherty won the award in back-to-back seasons at Maryland (1995 & 1996). In addition, Amato was named the ACC Defensive Player of the Year, as well as a USILA First Team All-American, helping to lead the Terrapins to the semifinals of the NCAA Tournament. Amato was selected 29th overall by the Florida Launch in the 2014 Major League Lacrosse (MLL) Draft. As a junior (2013), Amato was recognized as a USILA Second Team All-American and a nominee for the Tewaaraton Trophy, given annually to the most outstanding collegiate lacrosse player, after guiding Maryland to another appearance in the NCAA Tournament. Amato led the Terrapins to the NCAA Tournament championship game as both a redshirt freshman (2011) and sophomore (2012). As a sophomore, he earned Honorable Mention All-America honors from the USILA, and was named to the NCAA All-Tournament Team after his freshman season. In his first NCAA Tournament (2011), Amato made nine saves in an overtime victory over top-ranked Syracuse in the quarterfinals, followed that with 13 saves against Duke in the national semifinals, and stopped eight shots against Virginia in the title game. Amato finished his Terrapin career ranked third all-time in saves (625), just 33 behind Dougherty in second. A native of Conshohocken, Pennsylvania, Amato backstopped La Salle College High School to Pennsylvania state championships in 2008 and 2009 as well as four consecutive Philadelphia Catholic League (PCL) titles (2007-2010). He was a two-time United States Lacrosse High School All-American (2008-2009) and an Under Armour All-American in 2009, helping the Explorers finish the 2008 and 2009 seasons ranked number one in the nation by laxpower.com. Niko graduated from the University of Maryland in 2014 with a bachelor’s degree in communications.